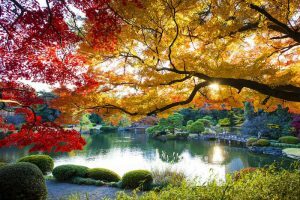 Fall is officially upon us and a new batch of extremely exciting poker events is set to arrive in its wake. This week’s live tournament poker overview includes events across Europe, Asia, and North America. All four promise unparalleled thrill and massive monetary prizes and all four are great for challenging one’s level of poker mastery. Here are four of the major tournaments set to begin over the next few days and information about what one might expect from them. 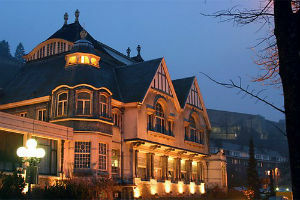 The city of Namur in Belgium will be host to the next PokerStars-branded poker festival. The PokerStars Megastack is set to kick off today at Casino de Namur and to run through the end of the month. The tournament will feature multiple exciting opportunities for players to test their skills and challenge opponents who have mastered the game at different levels. The festival will include four tournaments and several satellites to the Main Event. And action at the host casino will kick off namely with the PokerStars Megastack Main Event. The tournament will run from today all the way through September 30 and will feature six starting flights and two more days of action. It will be a €170 buy-in event and will start off with a guaranteed prize pool of €100,000. Another thrilling tournament on the Megastack festival’s schedule will be the €550 High Roller. That one will run on September 29-30. The WPT DeepStacks is next heading to Vietnam for another exciting festival that will bring together some of Asia’s best grinders as well as guests from around the world. 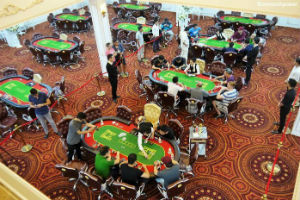 The festival will take place from September 26 to October 4 at Pro Poker Club in Ho Chi Minh and will feature a plethora of events, with those varying in buy-in fees. One of Asia’s most thrilling destinations will welcome the WPT DeepStacks series with a 2-day Welcome WPT Vietnam VND7,700,000 tournament. As for the highlight tournament, the VND22,000,000 Main Event with a guaranteed prize pool of VND8 billion it is scheduled to take place on September 28 through October 2. The VND44,000,000 High Roller is another event worth being mentioned in our overview. The tournament will take place over three days – October 1-3 – and will feature two starting flights and one more day of play. It will allow a maximum of 2 re-entries per starting flight and will certainly offer tons of quality poker action. 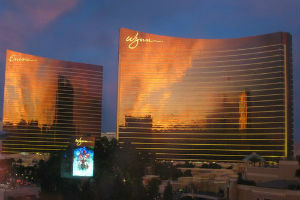 For those looking for thrill and excitement on the Las Vegas Strip, Wynn Las Vegas is the right place. This year’s edition of the highly popular Wynn Fall Classic is kicking off September 26 and will take place all the way through October 15. Its schedule includes 16 different tournaments, 15 of which will be No-Limit Hold’em ones. There will also be one Pot-Limit Omaha tournament within this classy festival for fans of that poker game. The Wynn Fall Classic will start with the $550 No-Limit Hold’em Seniors tournament. The event will be a single-day one and will feature a guaranteed prize pool of $50,000. It is important to note that most of the events within the festival will be single-day ones. There will also be one two-day event, two three-day ones, and two four-day ones. The Main Event will be one of the four-day tournaments. It will start on October 12 and will be completed on October 15. Interested players will be able to take part in it by paying a buy-in fee of $1,600. The tournament will feature a guaranteed prize pool of $500,000 that will hopefully be crushed. partypoker’s MILLIONS live tournament brand is next landing in Nottingham for more than a week of unequaled poker action. The Dusk Till Dawn festival will begin on September 29 and will end on October 7. 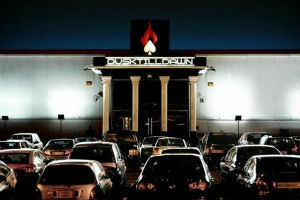 As one can tell by the name, the Dusk Till Dawn casino, a popular poker meeting hub, in Nottingham will play host to this major event. The festival is set to feature more than £7 million in guaranteed prize money. This speaks volumes about the quality of poker that players and spectators will be able to witness at the host venue. The £1,100 No-Limit Hold’em MILLIONS UK Open will put the beginning of action within the festival. The event will feature a guaranteed prize pool of £1 million. There will be five starting flights and three more days of play. The £5,300 Main Event will be the next big tournament to kick off. It will take place on September 30-October 6. There will be at least £5 million up for grabs for those who run deep enough into this prestigious tournament. The £550 MILLIONS UK Finale with five starting flights and the £10,300 High Roller are two other exciting events that should be mentioned. The former will take place October 4-7 and will feature a guaranteed prize pool of £500,000, while the latter will run from October 5 through October 7 and will feature a guaranteed prize pool of £1 million.